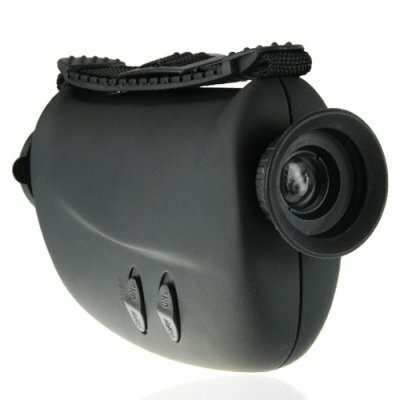 Successfully Added Portable Night Vision Scope With Infrared to your Shopping Cart. Fully-featured, compact Nightvision Monocular that allows you to see accurately and clearly in the dark. This powerful night scope would be perfect for any serious camper, hunter, wildlife enthusiast, the frequent traveller that enjoys the great outdoors and those who enjoy their vacations in the countryside. It would make an ideal gift for a family, friend or colleague who appreciates nature. Easy to use with excellent portability, this compact-sized monocular comes fully equipped with all the powerful features you would expect from a professional night vision tool including a power IR illuminator, image magnification, and superb objective focus range. With excellent clarity, your night vision is significantly enhanced ensuring that you can travel safely with maximum visibility. This top-performing night scope is available to you now at a cost lower than many lesser monoculars go for in large retailers. So why not order now at a low, factory direct price from the leader in the coolest electronic gadgets - Chinavasion. Powerful night vision tool for viewing night time wildlife and natural phenomenon. Ideal for those who love who the great outdoors. Lightweight, easy to pack and extremely practical. Note: This product should be used at night. Use during the day can damage the intensifying tube. Impressive image quality for the price. Very light weight, fits nice in hand. Feels well made with good quality plastic. Image is clear and crisp once you adjust the eyepiece. With the IR illuminator i can see about 150 meters in pitch black. I use it to watch birds and hare in the forest where i live.